Being the ultimate lazy astronomer wannabe, who really prefers armchair cosmology, when compared to observational astronomy, I always look for the lightweight, easy to setup way, to do some quick astronomical observing. 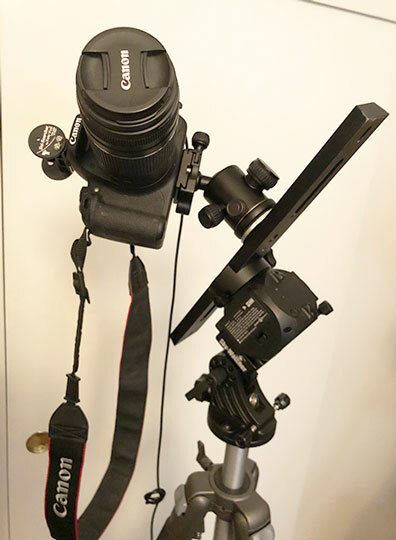 To that end, I am evaluating this accessory called Sky-Tracker that hopfully will extend the no star trails, camera exposure time, not to match that possible with good tracking mounts, but a bit better than possible than with just a camera mounted on a tripod. Check out the setup below. The setup is sort of a kludge of different parts necessary to attach the camera to the Sky-Tracker. First up is the dovetail bar, which is perpendicular to the RA axis Before the bar is installed a polar alignment scope fits nicely in the Sky-Tracker and the tripod assembly can be polar aligned. Next on the bar is a ball head to account for the camera positioning, which can be adjusted to point in just about any direction, without changing the tripod alignment. It is light enough that I can mostly carry it outside with one hand. The Sky-Watch is controlled from my IPhone and can correct Earth rotation effects for both stellar and lunar observations. We will see how well and how easy this new approach will be! One more complication with this setup is that the ball head and the Sky-Watcher come initially setup for 3/8 inch thread connections and I choose to use some 3/8 to 1/4 -20 thread adapters to mount everything together. And I thought it was just the need to maintain tools setup for metric and standard threads and now I have to keep spare hardware for 1/4 and 3/8 thread. We will try this whole arrangement out shortly and let you know how well it works. In the meantime, we can recommend a couple of books for all of you astrophysicist and physicist wannabes. These two books were picked up at the AAS 231st meeting and I found them to be at just the right technical level. 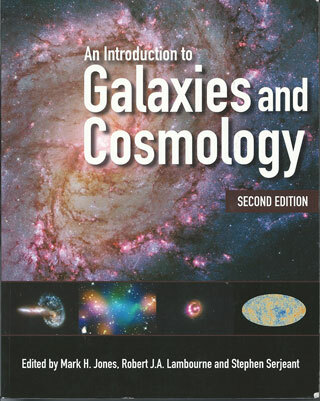 The Introduction to Galaxies and Cosmology book is now out as a 2nd edition and is just jammed full of interesting description of galaxies and cosmology and explains the topics in a lot of detail, with some mathematics, without getting bogged down in minutia that only the experts follow. 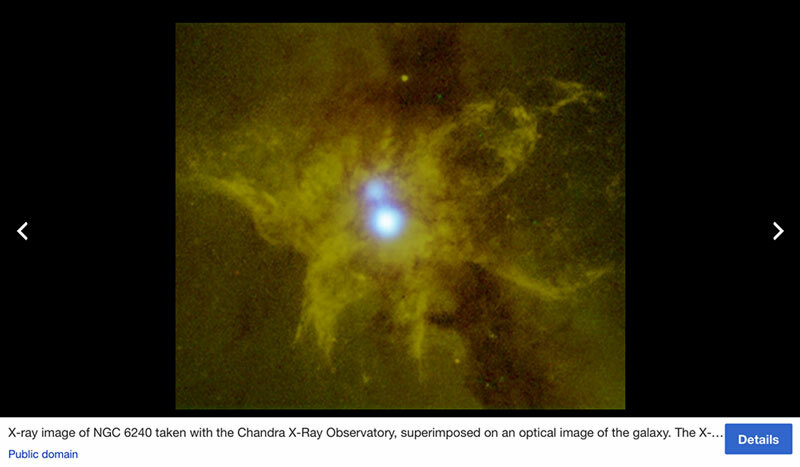 One of the chapters I was reading on formation of galaxies posed the question about how supermassive black holes form. If they form by mergers and the centers of galaxies are a natural place to find large black holes, then we ought to see evidence and instances of that happening now. Yes, LIGO has observed mergers between black holes and we know that most galaxies have a supermassive black hole at their centers. It turns out that merging galaxies have been observed and some instances of resultant galaxies that have two large active nuclei, assumed to each be black holes. 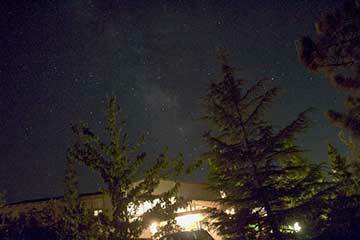 The galaxy, NGC6240, is one example, which can be seen in the image below. NGC6240, with visible magnitude of about 12.9, would be an interesting target to go after, unfortunately, for me at least, it just rises above the horizon about 2:40 AM, and I am not going to wait up for it! 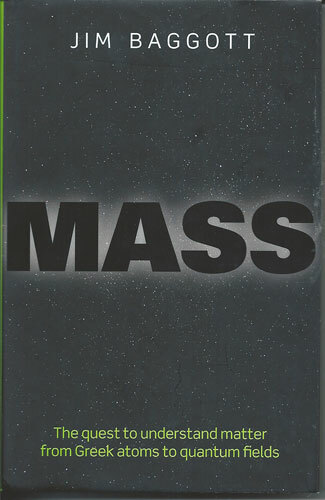 Another interesting book is "Mass", by Jim Baggott. This is a great easy read if you are interested in following up on what the current concept of mass is all about. We already have an intuitive sense of mass, as weight, but to tie it all together with concepts of inertia and how the modern interpretation of the Higgs field and Higgs boson as the ultimate cause of mass is pretty neat. Now I have tried to understand the Higgs field explanation for a couple of years now and it all requires a good understanding of symmetry and quantum field theory, which I am still struggling to get through. 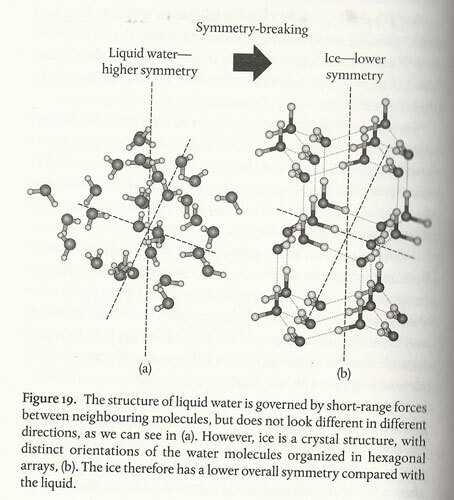 But on of the pictures in the book helped me quite a bit on my physicist wannabe journey by showing an example of symmetry based on the freezing of water to make ice. It turns out that water can be cooled down below the normal freezing temperature of 32 degrees, if the water is very pure. Water will not freeze unless some impurity in order for the first bit of ice to form. The figure below, courtesy of the "Mass" book, shows how the water molecules, normally all lined up in random directions, become arranged in a more orderly pattern when ice is formed. This view of ice is an example of symmetry breaking. The freezing in causing the water molecules to go from a very unordered state to a more ordered state can also be viewing from the change of symmetry viewpoint. This is where I finally go a big "eureka" moment because as much as I had studied symmetry in physics, I had misunderstood that the random collection of molecules was a state of high symmetry and the ice molecules was a state of low symmetry. Why is this? When you view the collection of molecules of water and ice from the outside you notice right away that no matter which direction you look at water you see the same disordered molecules. When you look at ice, you see a different configuration depending on your line of sight. What I had missed was that for the case of water we call that case one of higher symmetry than that of ice. This becomes more apparent when you consider looking at a sphere and at a cube. No matter how you change the orientation of the sphere it looks exactly the same. This is a case of high symmetry. If you look at a cube, you discover that only for changes of exactly 90 degrees does the cube look the same. Baggott tells the story of how these concepts of symmetry were used to develop the electroweak theory which combines the electromagnetic force with the weak nuclear force. Only by considering the symmetry between these forces did it come about that the theory said that at high energies the two forces would be viewed as one and the same type of force and that at our normal energies and temperatures around us today, the forces appear different because of symmetry breaking. But the story goes on in that to accomplish the symmetry breaking, just like in the case of the formation of ice, some form of "impurity" was needed. The impurity added to the theory was the Higgs field and the Higgs boson, which was just recently discovered, was necessary for this symmetry breaking and at the same time this Higgs field gave other elementary particles their mass. Without this field, the elementary particles would be massless. Wow, now with this simple recognition of how to look at the amount of symmetry, as shown in the ice example, and that ice has lower symmetry than water, I can go back and continue my study of quantum field theory and symmetry. 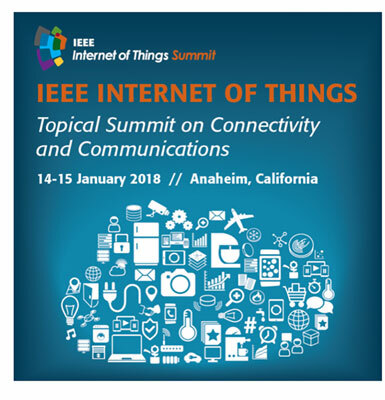 As if studying quantum field theory was not dizzying enough, I took a bit of time off to show up at an IEEE workshop on "The Internet of Things." We are in a world where more and more devices around us have a connection to the internet and I wanted to know a little bit more about what was happening in this field. As it turned out my interest in the subject was not as great as I thought, I am after all not an engineer anymore, but a physicist wannabe. So, after the first day of the workshop I played hookey and took the second day off. 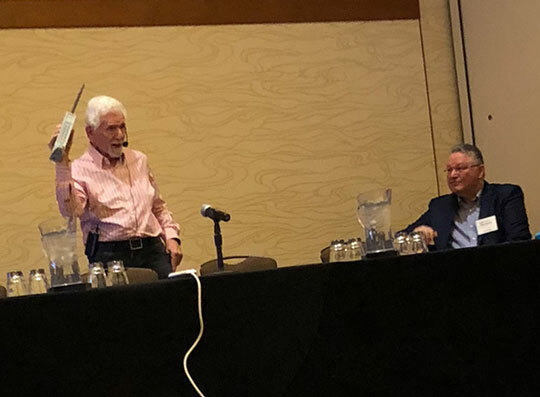 What I most appreciated during the first day though was a chance to hear Marty Cooper tell about the story of the invention of the cell phone. While at Motorola, between 1973 and 1983, he led the development of the modern cell phone. He differentiated the cell phone from the mobile radio phone available then, even installed in automobiles. He told the story how the prognosticators at that time said there might be a market for something like two million car phones at the most. It turns out, he tells us, that the prediction turned out to be correct, but the predictors just didn't see what was to occur in the future. He also coined the term "Cooper's Law", which is that since the time of Marconi's first radio transmission, the amount of data transmissions over the available spectrum doubles every 30 months. Even now at 89 years of age, he is still lively and continues as an entrepreneur or as a "historical futurist" as he puts it. It was so interesting to hear about those early days. Who could of imagined how that device and the new connectivity of the world would change how we do things. Being attached to our phones in such a tight manner almost makes us cyborgs; we can't go for long without checking in with the wider community! And what about telemarketers always after our time! Anyway, thanks for inventing the phone, Marty! 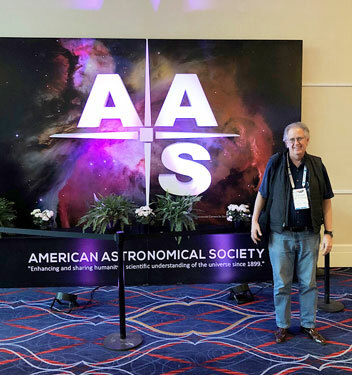 Finally, let's finish up with this photo of the AAS banner and me. With the reduced cost of entry fee for amateur astronomers, you too can attend these great meetings and hear about some of the latest findings. Ok, ok, even with the reduced entry fee you still need to pick up airfare and hotels, but every little bit of savings helps. So, if you want to make the AAS summer meeting it is held in Denver, CO, this year from June 3-7. Plan for it now and see you there!